The community of Vila Autódromo is organizing a cultural occupation of the Bus Rapid Transit (BRT) station located next to the community next Saturday, February 9. The occupation aims to highlight two longstanding demands: the fulfillment of an agreement reached with Rio’s former Eduardo Paes mayoral administration in 2016, and the renaming of what is today the “Olympic Center BRT Station” to “Vila Autódromo BRT Station.” The occupation comes in the context of a series of occupations carried out over the years, serving as a tool to increase visibility, combine efforts, and unite supporters in the struggle for the permanence and symbolic recognition of Vila Autódromo. Two and a half years after the Olympic Games, which was used as a pretext for removing the bulk of their community, remaining residents of Vila Autódromo have still not been granted land titles promised by former mayor Eduardo Paes. Furthermore, the City has still not fulfilled its promise to build a sports field and to reconstruct the Residents’ Association and children’s playground, both of which were demolished during the eviction process. 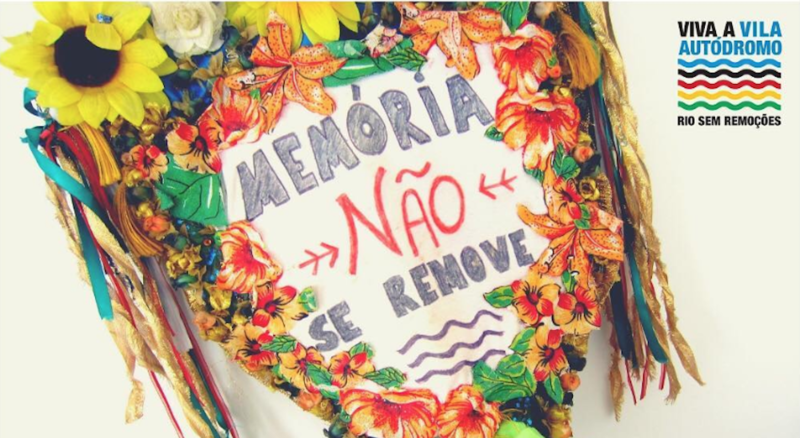 The Administrative Agreement signed between the Rio de Janeiro State Public Defender’s Office and the mayoral administration of Eduardo Paes on April 13, 2016 was the fruit of residents’ twenty-year struggle for housing rights in the city of Rio de Janeiro. 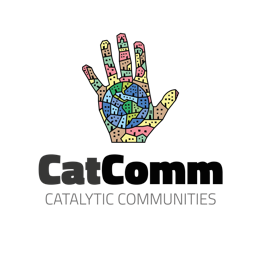 It is important to recall that Vila Autódromo, a community located in the West Zone of Rio de Janeiro—now neighboring the Olympic Park—suffered from several waves of eviction over the course of the Olympic Park’s construction. 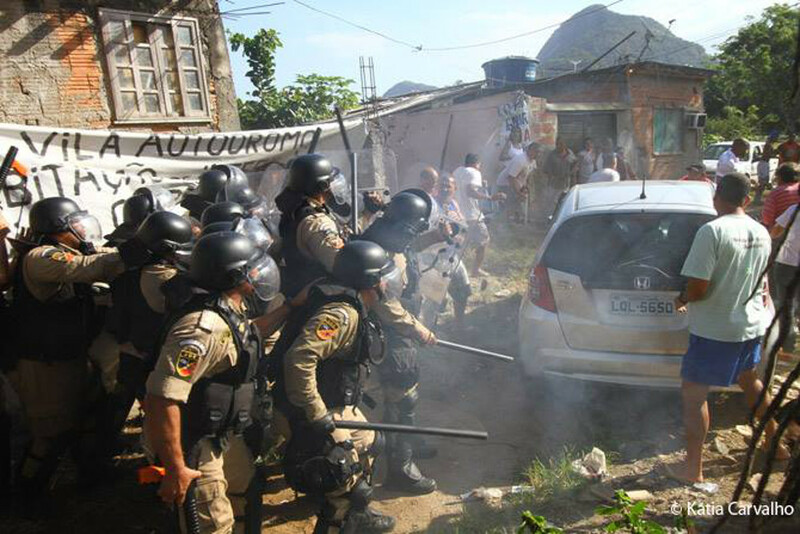 However, Eduardo Paes’ administration did not respect all of the terms of the agreement and residents of Vila Autódromo continue seeking to assert their legal rights. According to Sandra Maria de Souza—a resident of Vila Autódromo and an icon of the community’s struggle for permanence—immediately after the City finished constructing Vila Autódromo Road and the twenty houses that remaining residents live in today, the City should have issued occupancy permits (known as habite–se in Brazil) authorizing the occupation of a recently constructed or remodeled house. This document is fundamental to guarantee residents’ legal right to remain on the site. The legal conflicts surrounding the land where Vila Autódromo is located date back to the era when the municipality of Rio de Janeiro was still the state of Guanabara, during which time private land was expropriated by the government and made public. As explained by public defender Adriana Beviláqua, until 2007 the land belonged to the state of Rio de Janeiro, but by way of an administrative decree, land ownership was transferred to the municipality of Rio de Janeiro. Currently, there are land parcels that still belong to private entities. These property rights disputes have hampered the process and prolonged the uncertainty of Vila Autódromo’s legal status. In light of this situation, residents demand the completion of upgrading works. During the violent eviction process, the City demolished the children’s playground that previously existed at the entrance to the community and the building that housed the Residents’ Association. Residents were promised the reconstruction of the playground and the Residents’ Association, as well as the inauguration of a sports field and cultural center. Souza emphasizes the importance of these projects in the struggle against the symbolic and physical erasure of Vila Autódromo in the city. 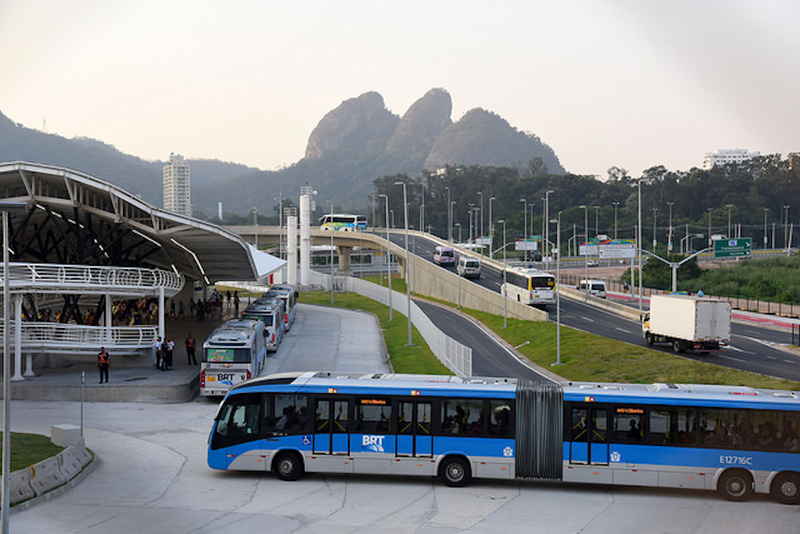 The demand to rename the Olympic Center BRT station as “Vila Autódromo BRT Station” follows Souza’s line of reasoning: it is necessary for Vila Autódromo to continue existing in the urban landscape of Rio de Janeiro. In examining the nomenclature of other BRT stations, it’s common to name the stations after the condominiums that they service, as is the case of the Rio 2 and Ilha Pura terminals. As such, residents’ demand is simple: they want the station to be named after those who use it. Furthermore, the BRT station that precedes the Olympic Center Station is called the Olympic Park Station, which constantly generates confusion among visitors. Souza also explains that the architecture of this BRT station departs from the norm of other stations. It is clear to residents that the construction of this station contributed to the eviction of part of Vila Autódromo and therefore, naming the station in honor of the community is the least that can be done to reverse this process of erasure. Residents identify the transition to a new mayoral administration as one of the greatest challenges at the moment. The agreement was signed with former mayor Eduardo Paes and a lack of faith in the legal system has revived fears that the agreement will not be respected in its entirety. Therefore, residents of Vila Autódromo invite all to attend the cultural re-occupation of this space on February 9, starting at 2pm. 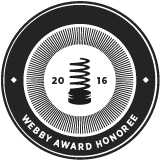 International press is welcome. It will be a day of music, art, and resistance. Everyone’s support is fundamental. See the event invitation on Facebook here. This article was written by Maria Luiza Belo, and published on February 2, 2019.